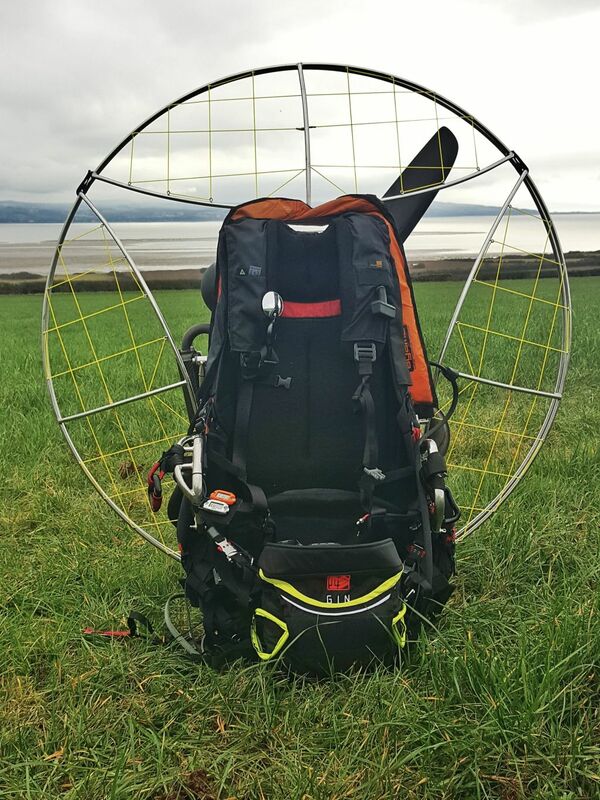 Just finished modifying SkyMax Compact paramotor with Moster 185 engine for cross-country flights. 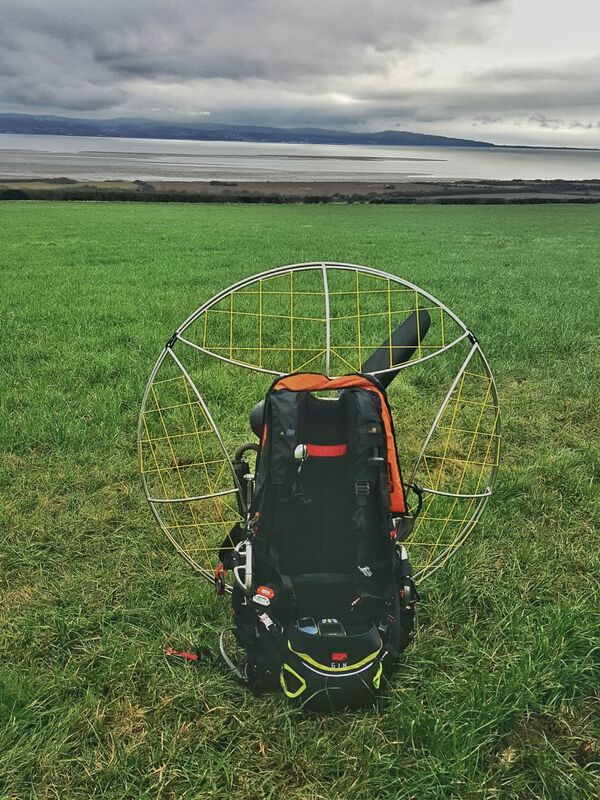 I have it since 2014 and although being happy with the performance, always wanted to have more flight time available and few minor things to be done as well. 18 liters tank made by TechnoFly was installed. 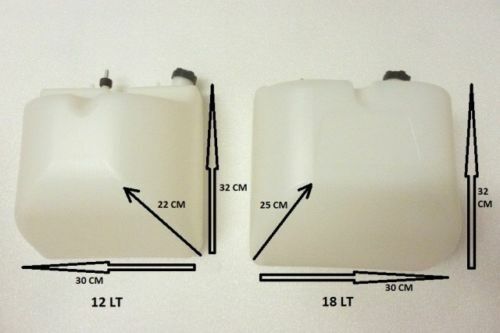 This tank was chosen as it has the same dimensions (except the front one) as original 12L and no changes to the frame had to be made. It is fixed to the frame with metal plate at the back (using tank’s threaded connectorsd) and strap. There is a valve in the cap letting the air in during the flight so you need no taps to be opened before the flight. Actual capacity of tank is 19,5 liters so there will be no issues anymore doing 60 – 70 – 80 miles flights. The only issue to complain of may be missing fuel notch marking. Hence, I had to mark the tank myself. And it will need renewing in a while. 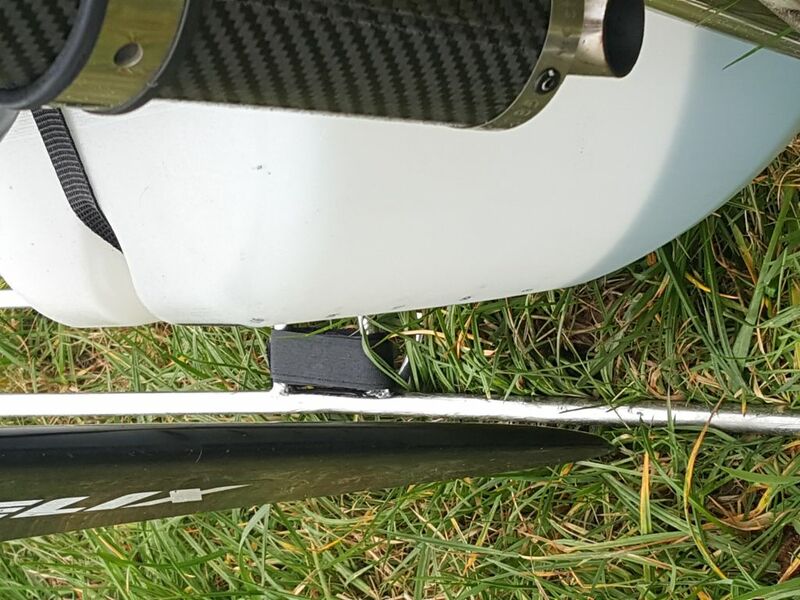 Because of the bigger front size of the tank in order to indemnify the tank from contact with propeller the second Vitorazzi spacer was installed. 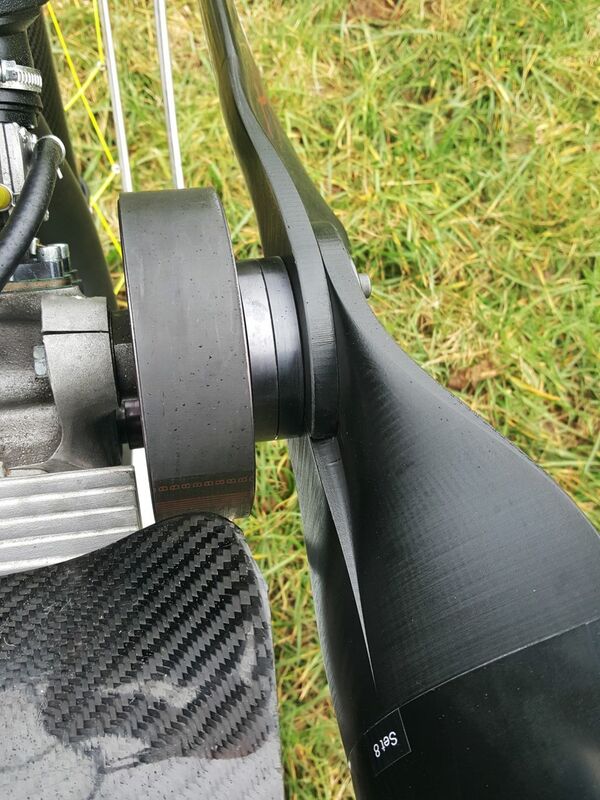 During the flight it does not make any difference and no torque effect occurred. What is important is to have the fuel tank fixed properly as the distance from the tank to propeller (in my case) is just about 6cm. Therefore it is not enough to use only the strap for mounting the tank. RPM and temperature gauges installation. 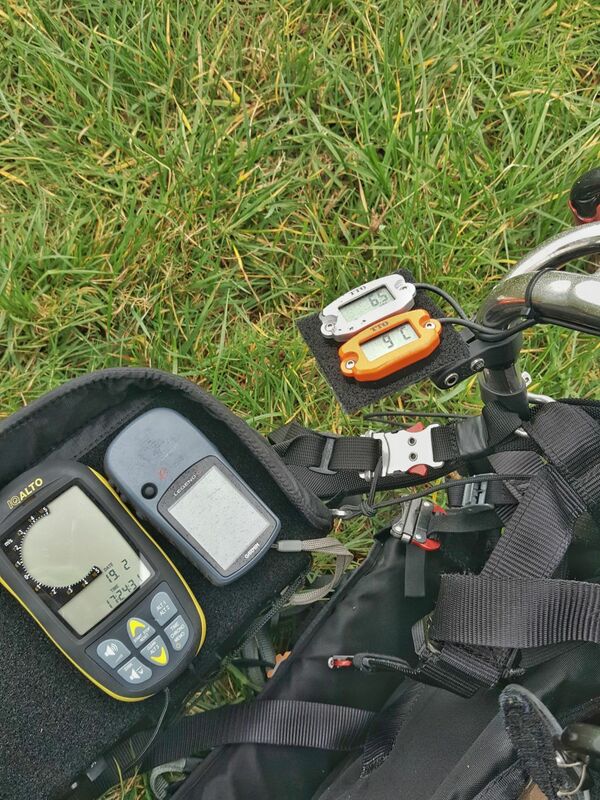 My PPG meter just died and instead of getting the new one, I bought Trail Tech meters, initially designed for the bikes. The reason for buying these ones is quite simple – they are cheap and reliable. Temperature gauge is the most important for me. 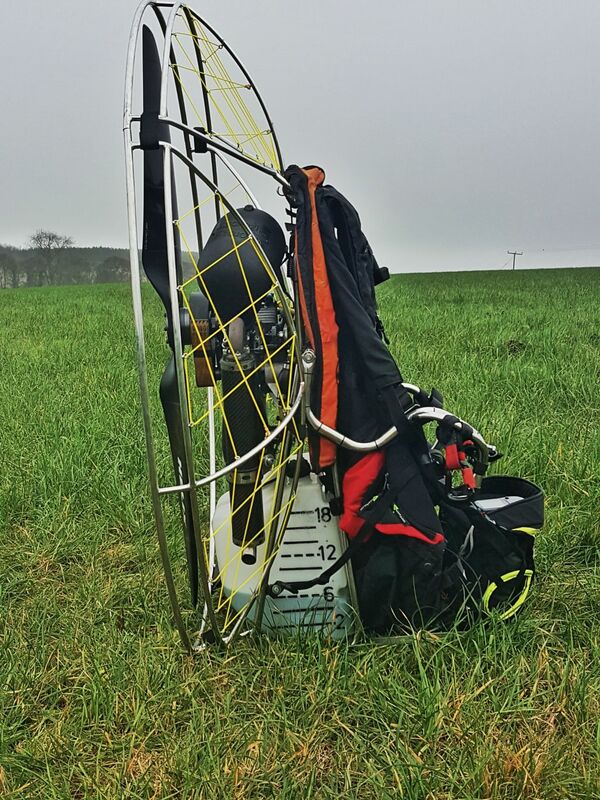 I fly a lot with speedbar fully pressed and having the engine working at almost the full throttle for a long time definitely needs keeping an eye on temperature. And tachometer is used just to control the carburetor setting. Both gauges are mounted on the bracket, attached to the horn. Fuel tap mounted prior to carburetor. Fuel tap mounted just in a few inches away from the carburetor is solving quite a specific issue. 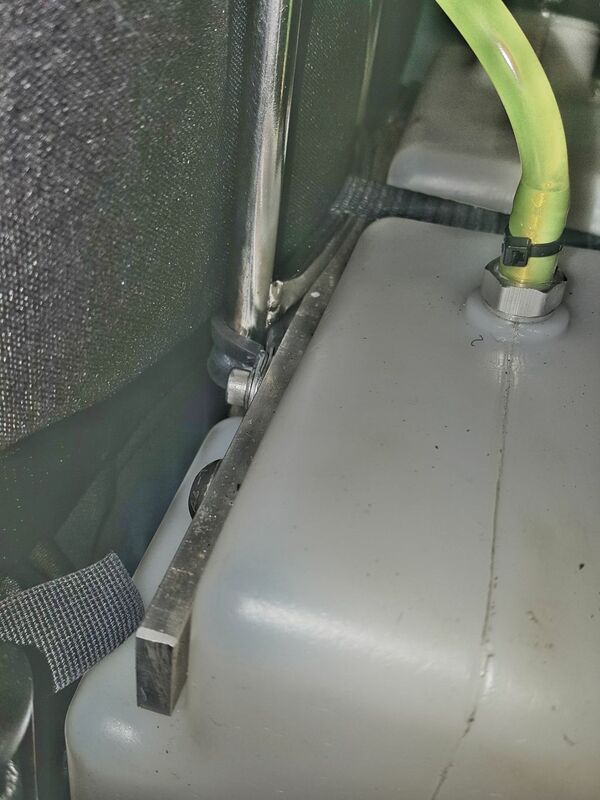 The thing is – when you have a motor resting in the boot of your car for quite a while in horizontal position, air in the fuel tank expands and starts pressing fuel to the carburetor. 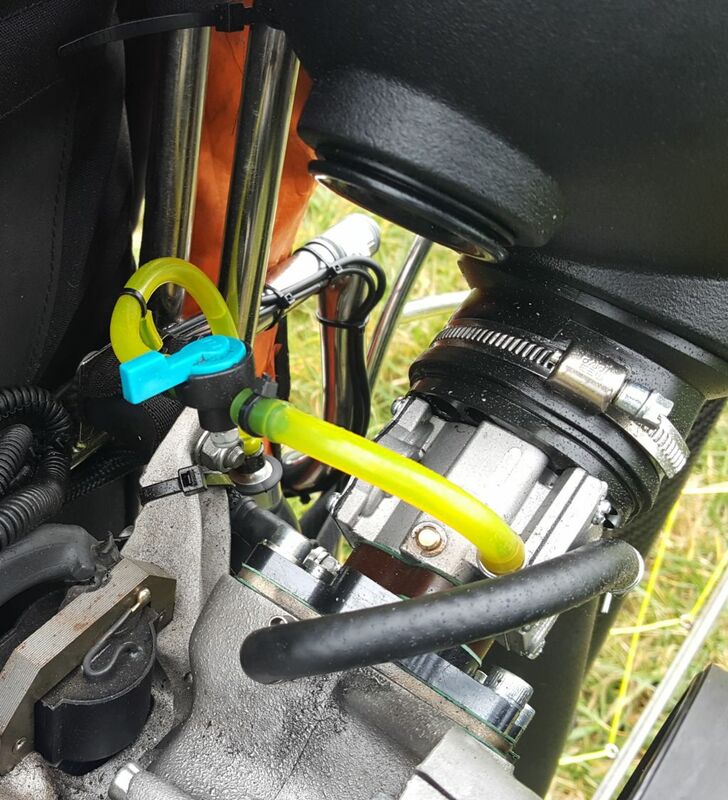 This results in having a strong smell of petrol in a car but what is even more important is that I often used to come to the airfield with an excessive amount of fuel in the carburetor, which was making the start the motor more difficult. With fuel tap it is sorted. Front reserve container with cockpit. I just started to use Runway HD navigation on my phone and needed to have it strait in front of me. I did not want to buy separate cockpit due to certain reasons, and it was not an option to have SupAir or other cockpit+reserve front parachute container because of having S-horns it was not possible for me to reach the reserve handle located in the center of the cockpit. This is the pattern for most of containers with cockpits. They all have handles in the center, hardly accessible with S horns. Recently I spotted GIN container with the handle, located at both sides of the container. As far as I understand it is only one container (with cockpit) at the market which has the handle located at the sides. So I went for this option. 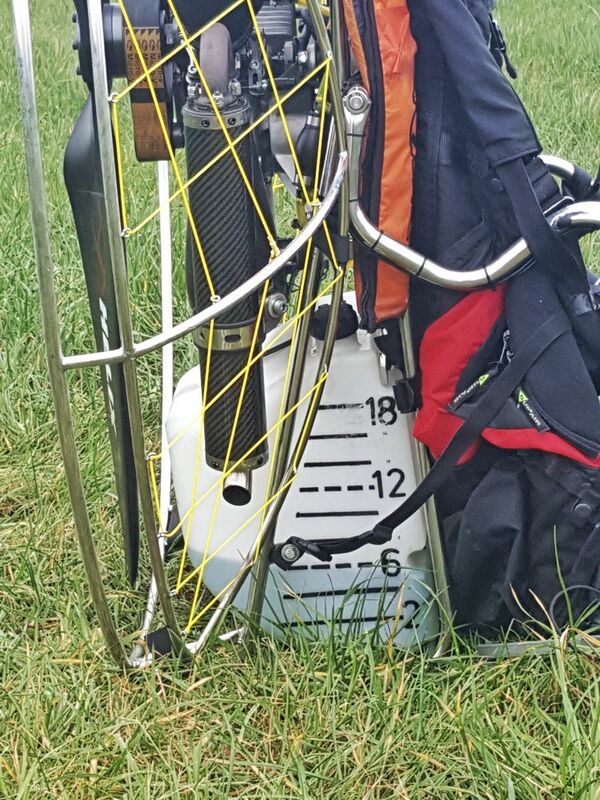 At this point, modification of my paramotor is over and hopefully weather this year will give us a chance to have a lot of nice flights. 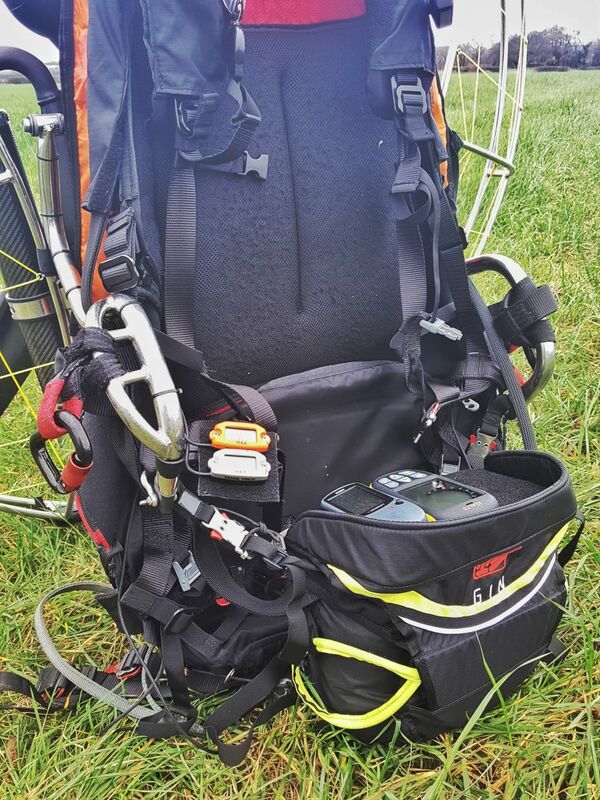 Special thanks to John (Manchester Paragliding) for helping out with instaling the upgrades and SkyMax technical support for choosing the right ones.